iLoveJapanTours is a leading tour operator specializing in private tours in Japan. Meet our team of Japan enthusiasts! These are our talents who work both behind the scenes and on the field to ensure you a smooth and memorable experience in Japan. Get to know who they are and how they will help you on your adventure! Every company has a story, and we love to share ours the way we share our carefully crafted adventures. In this section we chronicle the group's humble beginnings and motivations that gave birth to the leading inbound land tour operator in Japan. 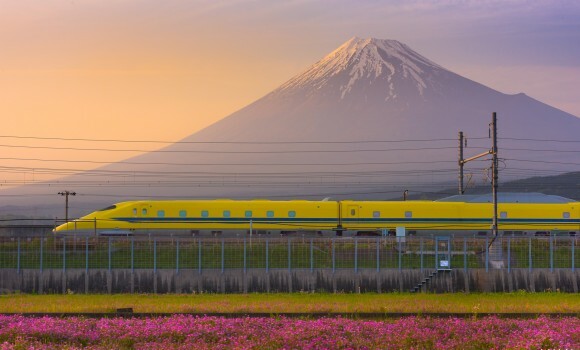 Traveling is an investment, especially for a high-profile destination such as Japan. It is important that you find a reliable and qualified tour operator to ensure that your time and money translate into a great experience that fulfills your expectations. Check what our customers say about us! Here is a collection of reviews by our happy and satisfied customers from all around the world. If you have toured with us and agreed to having your feedback posted, you may also find your own entries here! We have compiled our answers to many commonly asked questions here. If you need some pointers on choosing and booking a tour, or advice on what to prepare before your trip, or even tips for navigating Japan during your free time, look no further! Do you have questions about our services? Do you need more information concerning our products? Please do not hesitate to send us an inquiry! Our friendly and professional support team will be glad to assist you. You can find our contact details here. This is our default theme, featuring one-size-fits-all itineraries. “Classic Japan” is a lineup of introductory tours for first-time visitors to the Land of Rising Sun. 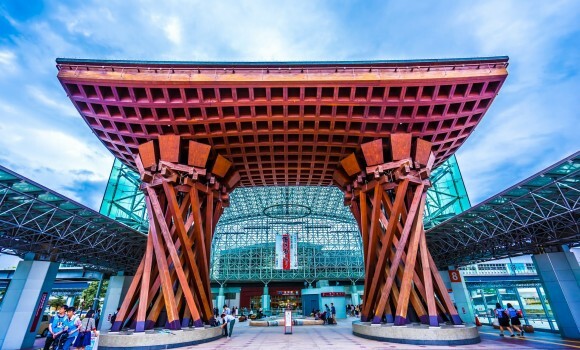 Typically following the major city - small town cadence that embodies Japan’s unique blend of tradition and modernity, any tour of this theme will feature at least two must-see destinations in each included region, such as Kanto, Kansai, Chubu, or Chugoku. Eclectic attractions of various kinds are selected to avoid monotony. If you have no idea where to start, try our “Classic Japan” tours! Cherry blossoms, also known as sakura, have long been regarded as the symbol of Japan. 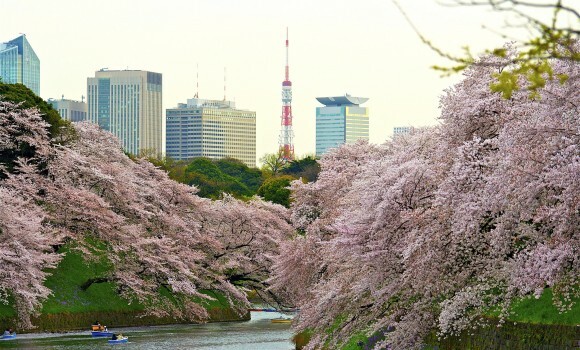 While the usual time window to appreciate sakura is very narrow, our tours of this theme have a wide range of availability thanks to our intimate knowledge of Japan’s geographical diversity. Our “Cherry Blossoms” itineraries are unique in that they do not only allow you to see the famous flowers -- any Japan tour in late March to early April can do that -- but also invite you to experience them in various ways. Check the itineraries out to learn more! Toward the end of autumn, leaves will turn various shades of red and yellow, a phenomenon that is highly anticipated by locals and tourists alike. At the peak of the season, entire mountains will be ablaze with colors, and we know more than just a place or two for the best front row seats to this spectacular performance by nature. 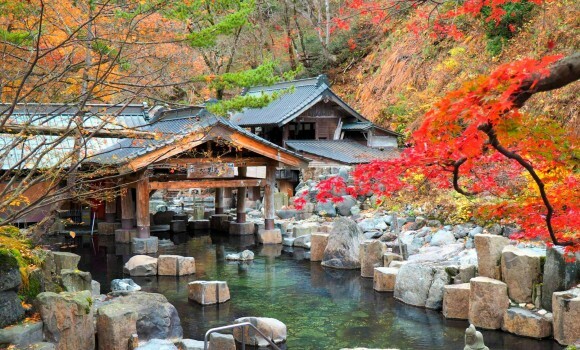 At times glorious day and night, other times hidden in plain sight, the koyo (autumn leaves) will accompany you on your grand adventure across Japan. Check out our “Autumn Colors” tours if you are interested! The storied past behind Japan’s attractions often take a backseat to their immediately apparent beauty. In order to complete the picture, we designed “Historic Trails” with the aim of delivering a holistic experience that captures the zeitgeist of Japan's many periods. These itineraries generally feature destinations linked by a common theme in history, and often involve visits to significant museums. The concept of a timeless Japan extends to the availability of these tours -- they are as good in the rainy days of June as during any other time! The cold months of winter replace the pretty foliage that adorn all the other seasons with another brand of beauty. Snow-covered hills and valleys color the alpine regions with a roaring white, whereas the big cities with less precipitation enjoy mesmerizing evening illuminations. 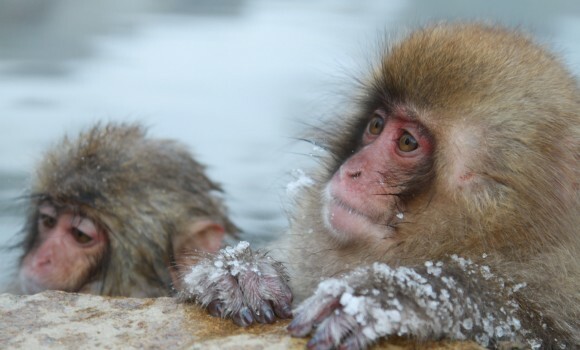 Winter is also the best time to be soaking in an onsen -- even the Japanese macaques know to enjoy their hot springs. Whether you are looking for a great slope to ski, or a chill place to spend Christmas and New Year, our “Winter Holidays” got you covered! The philosophy behind our ACTIVE tours is to encourage exploration -- because an Active adventurer will not compromise the satisfaction they get when they have seen the little known. For this reason, we recommend this style particularly for the young and adventurous at heart. Our Active tours are suitable for both first-timers and repeat visitors! BOUTIQUE is unique. Our Boutique tours are designed around events and activities to which the average traveler has limited access. Itineraries of this style are meant to grant our customers an exclusive window to Japan. Exciting and unorthodox, these tours are most suitable for those who have been to Japan before, and are looking for a new experience. Our most accessible style: COMFORT is for everyone. For travelers who expect to find some respite from their jam-packed schedules at home, for families who desire a fun holiday for members of all ages, and for groups of friends who just want to enjoy themselves on a relaxing vacation. 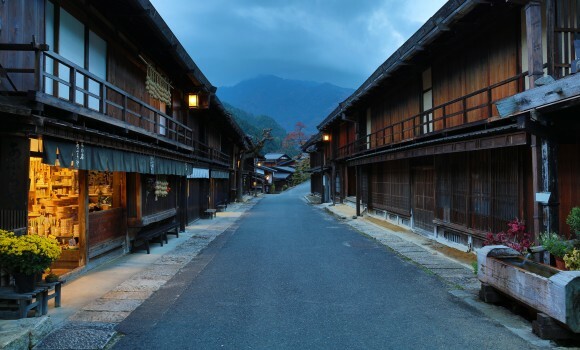 A first-timer in Japan will find our Comfort tours particularly appealing. A tailor made tour is much more than just a custom program. It means traveling on your terms in virtually any aspect of a tour, including the dates of travel, food preferences, room arrangements, and free time activities. iLoveJapanTours is a leading Japan tour operator. With more than 10 years of experience in handling inbound travel requests, our local team of professionals has served thousands of satisfied clients from around the world. We have extensive insider’s knowledge on Japan thanks to our experience. Our tour programs are designed to be different, thematic, flexible, and authentic. Specializing in private tours, we have a suitable itinerary for everyone. A private tour is much more than just a dedicated car and personal guide. It means traveling on your terms in virtually any aspect of a tour, including the dates of travel, food preferences, room arrangements, and free time activities.